Video footage has emerged of the police operation to shut down the illegal rave at Twyford Wood in Lincolnshire over the Bank Holiday weekend. More than 20 officers were injured in the operation to close down the rave after coming under attack from an estimated 200 of the 1,000 revellers present. One police officer was seriously injured after being knocked down by a car. Deputy Chief Constable Heather Roach said, “The incident at Twyford Woods on Saturday evening through to the morning of Sunday 24th May was a disgrace. 21 police officers were injured. Thankfully most of the injuries were minor involving soft tissue injuries, cuts and scratches. “Illegal parties sometimes known as raves are just that, illegal. One of the core responsibilities and aims of the police is to make sure that people are safe. Gatherings such as this are not safe. There are no safety assessments or plans. “Equipment to tackle fires or medical emergencies are generally non-existent. Crowd control measures such as barriers to prevent people being crushed or suffocated are not present and access to the sites for the emergency services such as the Ambulance Service or the Fire and Rescue Service are inadequate. The full cost of the operation cannot be counted until the ongoing investigation has been concluded and the offenders have been brought to justice. However it will run into thousands of pounds. 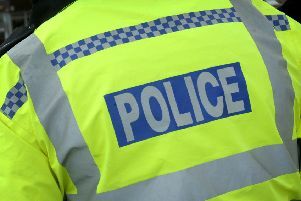 “In order to provide policing cover at various other events throughout Lincolnshire over the Bank holiday weekend we had additional resources available courtesy of our colleagues in other East Midlands forces. In spite of this we still had to call in additional officers from other parts of the country. At one point some three hundred officers were involved.